Salzburg, lovely in summer as well as in winter and crammed full with culture, castles, monuments and history reaching back many centuries. Birth place of Wolfgang Amadeus Mozart and many other musicians, writers, painters, sculptors and architects have lived here. 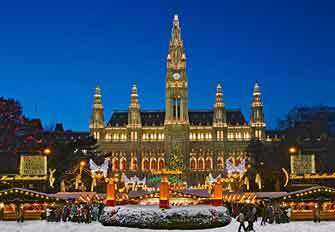 It is thanks to them the city is one of the most important cultural centers in Europe. The first festival took place on 22nd of August 1920 with the performance of what is to this day the `center piece`: Hugo von Hoffmannsthals´s play “Jedermann” (Every man). It´s the story of a very rich and selfish man who, during a banquet, is visited by Death who takes him away. However, he is allowed to choose company to go with him and is subsequently abandoned by everybody, his servants, his lovers and even his money. The play is performed on the beautiful Domplatz (Cathedral Square). A stunning setting for the drama and you can hear a needle drop when Death shouts his `Jedermann`reverberating from the surrounding buildings and the Dom behind. Many more plays, operas and concerts are being performed during the summer music festival Salzburg in other venues like the “Felsenreitschule” and “Grosse Schauspielhaus”. 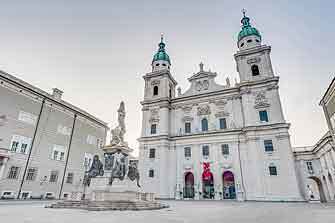 Naturally, tickets are coveted and don´t come cheap but even if you don´t manage to get the ones you want that shouldn´t deter you from visiting Salzburg during the Festspiele. At least you can see and hear Jedermann from afar because it´s an open air performance. 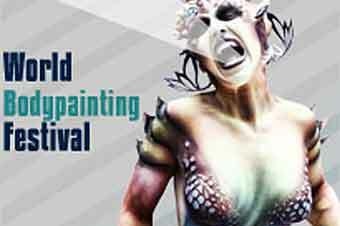 Since instigation the Festspiele have become an international event, particularly from the 60s onwards under world famous conductor Herbert von Karajan. 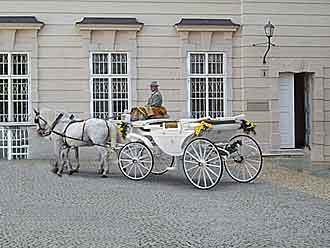 As far as architecture is concerned, Salzburg is a predominantly baroque city with all the opulence the style implies. Starting with the Dom which in it´s present form was inaugurated on 25th September 1628 with a 8 day festival, supposedly one of the biggest the city has ever seen. 3 portals, 5 bells with individual names and 5 separate organs are only some of the many awesome features of the cathedral. 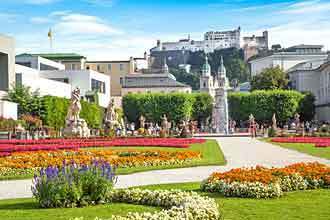 Make you way to the 11th century “Festung Hohensalzburg” which towers over the city. Fantastic views as far as the Alps and over the Old Town as well as sumptuous state rooms and weapons collections. If you are so inclined you can make the ascent on foot from the wonderful baroque landscaped Mirabell Park, but only if you are into hiking. Luckily there is a cable car which takes you to the top without any effort. Want to rub shoulders with celebrities, actors and anyone else who is (or thinks he is) famous? 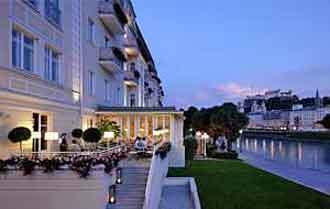 Then go and sit on the terrace of Hotel Sacher overlooking the river Salzach. 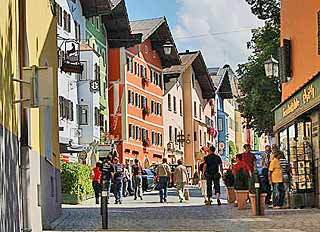 Or just enjoy one of Salzburg´s best specialties. A slice of Sacher Torte and a cup of coffee which in Salzburg is a science. Inside you can look at the Wall of Fame. 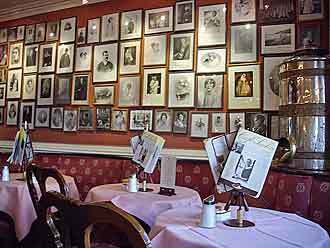 Autographed photographs of kings, queens, heads of state, artists and journalists who have stayed in Hotel Sacher. 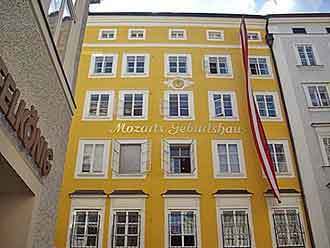 Mozart´s birth house which is also a museum in the Gerbergasse or visit the farmer´s market next to the Domplatz. Salzburg is my favorite city in Austria. 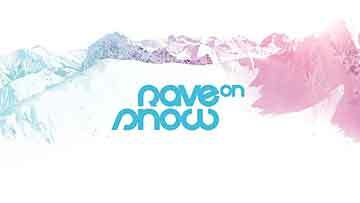 Cozier than Vienna, easy to reach, easy to get around. Never a dull moment here even if the best festival tickets already might been gone.